The Annual meeting of the National Association of Animal Breeders (NAAB) was held August 29-30, 2017 at the Madison Marriott West in Madison, Wisconsin. Meeting agenda included the Business session, election of directors, and recognition awards. An open house and reception at the new NAAB office was enjoyed by attendees as well. During the business session Board Chairman Chuck Sattler noted that 2017 has been a year of transition for NAAB with a change in leadership of the organization as well as relocating the office from Columbia, Missouri to Madison, Wisconsin. The move is nearly complete and the real estate in Columbia, MO will be placed on the market. Sattler provided a brief update on the FTC case that challenged the way NAAB managed the implementation of a project that lead to the development of the current genomic genetic evaluations that are used today and help make U.S. cattle producers more competitive and the cattle industry more efficient. NAAB reached a settlement with the FTC that would bring this case to a close following the public comment period. This settlement will allow the NAAB staff to return their focus on programs that deliver value to our members and help the industry grow. Sattler reviewed the recent addition of genetic evaluations for Livability and Gestation Length released by the Council on Dairy Cattle Breeding (CDCB) and noted that additional health trait and feed efficiency evaluations are being developed. Jay Weiker, NAAB president, reported that the total dairy and beef unit sales for 2016 decreased 2.26% to 53,013,695 units and this is the second consecutive year that total volume decreased. Export unit sales increased 0.85% to 22,943,037 units however the total dollar value for exports decreased 8.48% in 2016, to $155,945,100. While 2016 was a challenging year for the global dairy industry, unit sales for the first half of 2017 are trending upward indicating a strong start to the year. Other projects including programming of the “Real Time” Dairy Cross Reference Database and the new website design are nearing completion and will be launched soon. International activities included numerous trips to key markets as well as hosting a reverse trade mission for a delegation from Turkey. Exports represent a significant portion of the business for NAAB members and these activities help open and expand global markets. Dr. David L. Brown, Associate Vice President of Veterinary Services and Education at CRI/Genex and acting Chair of the CSS Board updated the delegates on CSS Board activities over the past year. 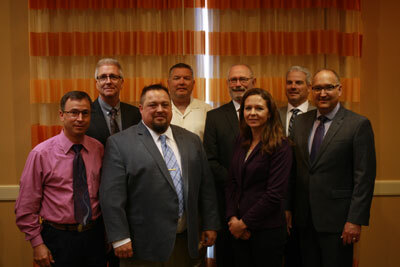 He emphasized the importance of CSS representatives and staff meeting with the USDA-APHIS Import /Export staff annually. Dr. Brown provided a written report for the Proceedings and entertained questions from the delegates. The Board of Directors for the 2017-2018 year are: Chuck Sattler, Select Sires, Chairman; Glen Gilbert, Genex Cooperative, Vice-Chairman; and Dr. Katie Olson, ABS Global, third member of the Executive Committee; Ryan Weigel, East Central Select Sires, David Jensen, Hawkeye Breeders, Paul Hunt, Alta Genetics, Earl Souva, Great Lakes Sire Service. Wayne Glaeser, was recognized with a Retiring Board Member plaque for his six years on the NAAB Board of Directors.